Q. Who scored a try while unconscious against Bradford in the 2011 Challenge Cup? Q. Which Wigan star of the 1980s wore two earrings? Q. Which Wigan forward did Gaby Roslin say she ‘quite fancied’ after his appearance on The Big Breakfast in 1992? Think you’re an expert on Wigan RLFC? 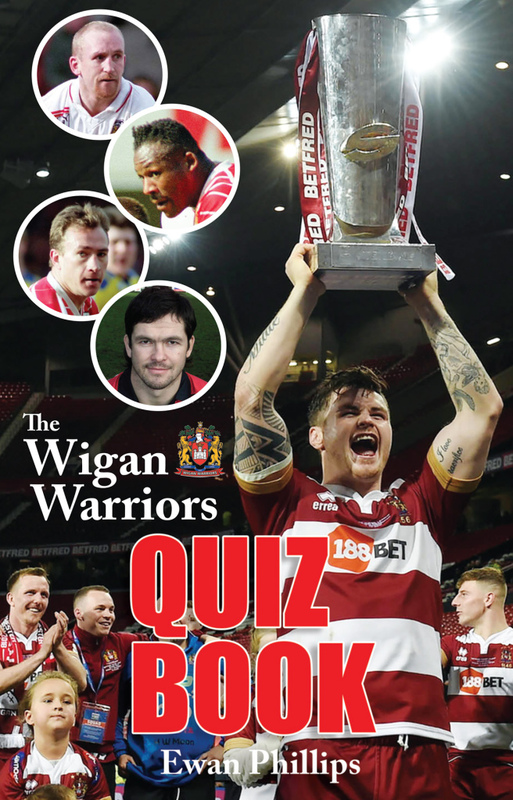 Let quizmaster Ewan Phillips – the man behind TV’s Mock the Week, Big Fat Quiz of the Year and more – test your knowledge of 2018’s Betfred Super League champions. Prepare to be grilled on players and events legendary and random through every era from Northern Union to today. This captivating memory-jogger guarantees family fun.